After suffering a near fatal head injury, young South Dakota Sioux cowboy Brady (Brady Jandreau, a rodeo star on whose real-life story the film is based on) is told never to ride again - but the sport is his lifeline as well as his passion - and he struggles to find his place within a world where the phrase ride or die takes on real, high stakes meaning. A strikingly authentic film (Jandreau's sister, father and best friend play semi-fictionalised versions of themselves), we see Brady struggle to support his family whilst facing a life of misery. In an attempt to regain control of his fate, Brady undertakes a search for a new identity, and tries to redefine his idea of what it means to be a man in the heartland of America. There is a magical, remarkable scene where Brady trains a wild horse where we get a poignant sense of how strong his connection to horses is - how skilled he is bonding with them, and therefore how heartbreaking it must have been to lose grip of his life's reigns. 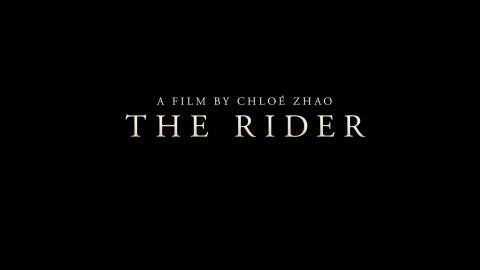 The Rider is full of these sorts of intimate moments, set against the dusty, expansive landscapes of the Dakotas, and the result is a beautiful and curious portrait of the American West. 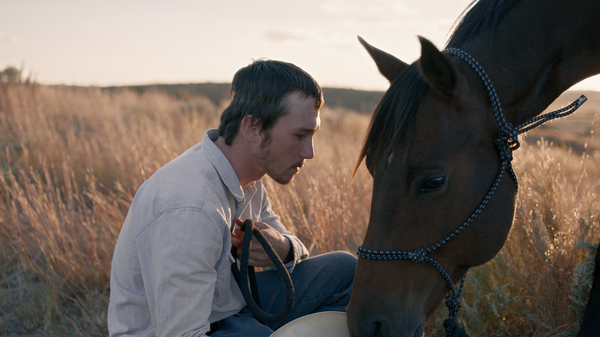 Horse trainer Brady Jandreau gives the performance of a lifetime, against the blinding twilight of a South Dakotan horizon, where fiction and reality meet in The Rider, Cinema Producer Tara Judah writes.